Sidelights are the windows that are placed at the side of a front door. They come in a variety of sizes and shapes. Especially prevalent in many suburban Dallas neighborhoods sidelights often duplicate the length of the door, but there are also many sidelights which are much shorter. They generally come in 6 inch, 7 inch, or 12 inch widths although other sizes exist. The light that sidelights bring into a home also allow anyone walking by your front door to see directly into your home. While blinds, drapes, or other window coverings can provide privacy, many of these solutions also block much, if not all of the natural light from brightening your home’s entryway. 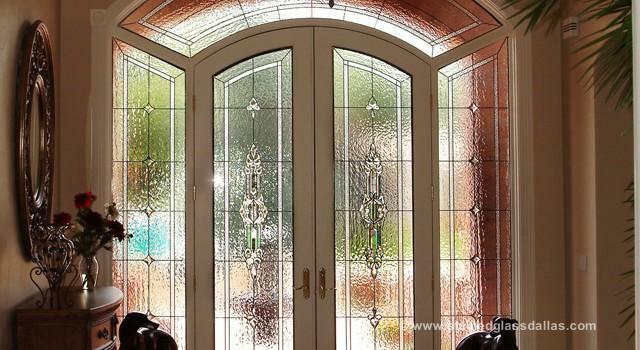 Stained and leaded glass is the best solution for your sidelights because it ensures privacy without eliminating any light. Plus, it is a timeless and beautiful piece of art that will enhance the décor of your interior! Despite the obvious practical reasons for applying stained glass to your sidelights, it is important to consider the aesthetic and resale value it will bring to your home. The front entryway is the first image guests see when walking up to your home and the last once they leave. 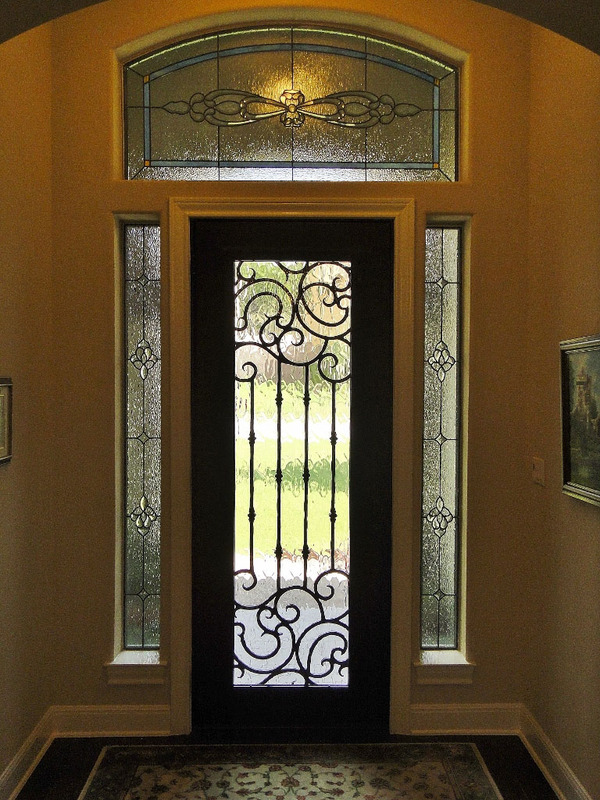 With stained and leaded glass, you will create a lasting first impression. Also, if you decide to sell your home in the future, leaded glass will attract buyers and set your home apart from the competition. At Scottish Stained glass, we are often asked about colors and textures and how to incorporate them into the design. All of our windows are custom, and this allows the customer to incorporate their individual style. However, the majority of our clients use no color in their stained glass pieces. Instead, they use clear glasses with a variety of textures and beveled pieces, allowing the colors from the exterior to show through and create a natural color scheme. Clear glasses are timeless and will match any color you may decide to redecorate with. We can also create accents with colors. This allows you to be playful when designing your window without it becoming overwhelming. As we mentioned before, sidelights can cause an issue with safety because they are an easy way for a break in to occur. 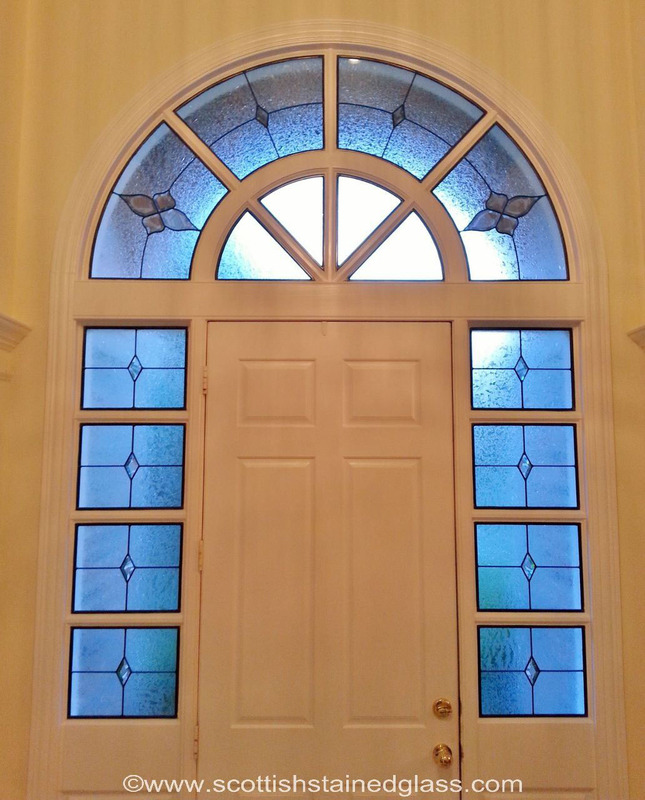 Stained glass sidelights can prevent potential intruders from peeking into your home. They also make the glass at the sides of your door more complicated to break through. 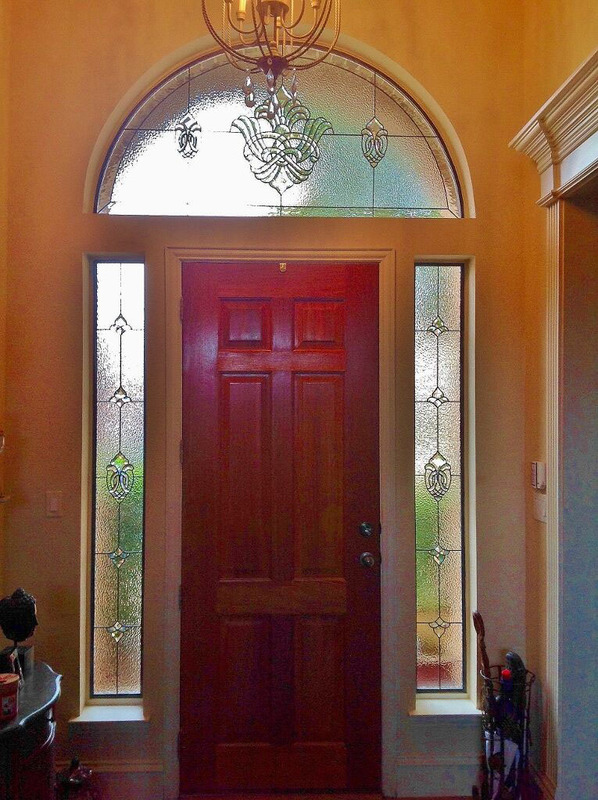 It is comforting to know that when you add stained glass sidelights to your Dallas home you are not only are you adding equity, functionality, and beauty. You are helping to keep your family a bit safer, too. Call or email us now to schedule your free consultation. 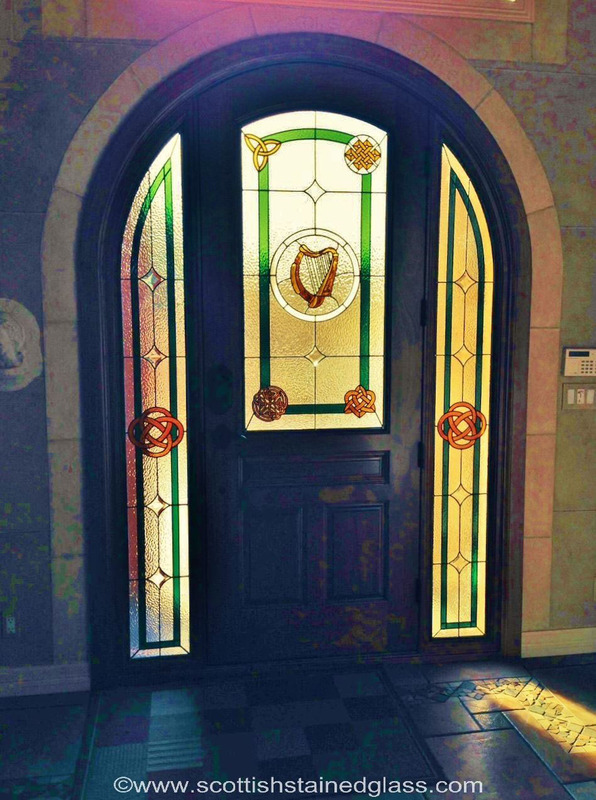 See first hand the differences that stained glass sidelights will make to your home.